The British company Mineco Limited, a member of Mineco Group, which represents one of the biggest investors in the mining and energy sector in the Balkan region, won a concession in the tender of the Ministry of Industry, Mining and Energy of the Government of Republika Srpska for the construction and utilization of small hydropower plant on the river Drinjača in the territory of Zvornik municipality. The Concession Agreement envisions the construction of small hydropower plant “Medoš” installed capacity of 3.97 MW and estimated annual production of 13.5 GWh. The concession period determined by the contract is 50 years maximum, and the estimated value of this investment is around 7.5 million. In accordance with the Concession Agreement, a company “Medoš One Ltd.” has been established based in Banja Luka, and Mineco will hire local companies for the jobs of preparation and completion of the construction of hydropower plant. “Mineco Ltd will implement this project in two phases. The first one includes the period of design and construction. This phase is voluminous and requires the involvement of a large number of people, so we estimate that these tasks will involve a lot of local companies. The second phase involves the utilization period of the hydropower plant of up to 50 years. In accordance with the business philosophy of the whole Mineco Group, we will nourish the ethical approach, which is based on respecting the laws of every country in which we operate, preserving the environment and helping the local community, “- said the director of “Medoš One Ltd.”Žarko Potkonjak. In the mining sector Mineco Ltd, alone or with partners, operates following coal mines: in Serbia “Veliki Majdan” near Ljubovija, “Rudnik” near Gornji Milanovac dealing with the exploitation and processing of lead and zinc ore and “Bosil-Metal” near Bosilegrad where the start of production is expected in 2018, and in Bosnia and Herzegovina, lead and zinc mine “Gross” in Srebrenica and lead mine “Geomet” in Olovo.Also investigations are in progress at the site of antimony in the Novo Goražde. 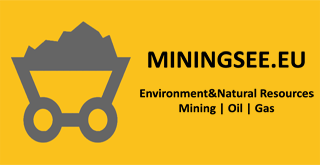 Mineco Limited is part of the Mineco Group, which is engaged in investment and development of lead, zinc and copper mines in the countries of South Eastern Europe and the former Soviet Union. Since the establishment of the Group in 2003 until today, together with its partners Mineco is successfully operating on five continents: Europe (United Kingdom, Switzerland, the Netherlands, Russia, Macedonia, Bosnia, Serbia, Cyprus), Asia (Turkey and Asian countries of the former USSR), Africa (Zambia) and North and South America (Canada, Peru, Chile), and has expansion plans in Australia.